Well you asked for it you got it. 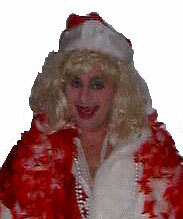 This is no Mrs. Claus….at least none that Santa saw. But she can sing a carol like a Partridge in a Pair Tree.